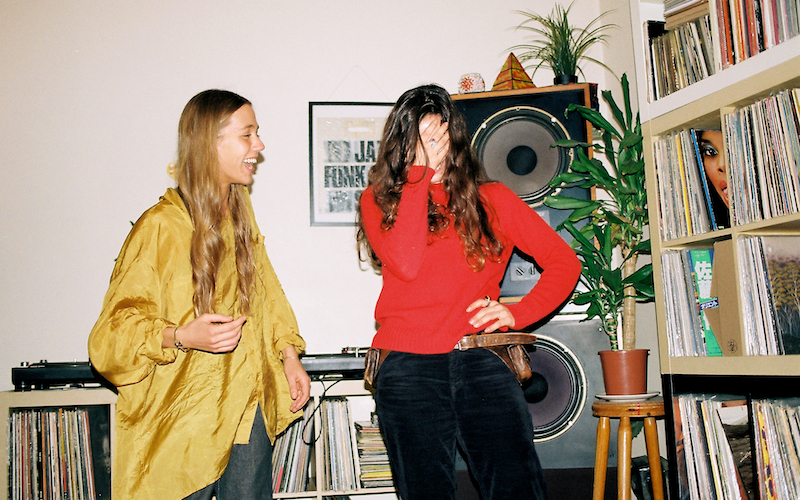 Through a shared love of music and record hunting that borders on evangelical, Debora, Donna and Ece formed the Winds & Skins DJ collective to help celebrate the celestial sounds in their collections. Ahead of their appearance on the Worldwide FM stage at GALA, we spent some time soaking up deep cover cuts and talking DJing with two of these souls dedicated to the art of digging. Donna Leake and Ece Duzgit are laughing hysterically. The photographer is trying to get a portrait shot of the two of them, and they’re desperately trying to find a usable photo of Debora Ipekel they can hold up on a laptop screen so all three members of Winds & Skins are represented. They settle on a shot of Ipekel with P-funk legend George Clinton. “Could we put in the story that Debora was busy tonight hanging with George Clinton?” asks Donna. Her and Ece are a little unnerved by the posed photo scenario, but they’re also quick to find humour in the situation, and it seems to represent the dynamic the three DJs share as Winds & Skins. that the two connected via gigs, raves and record shopping. Both have serious record shop credentials – Debora is part of the core family of staff around iconic Soho shop Sounds Of The Universe (although she’s busier these days working for Boiler Room), while Ece holds down a Sunday shift looking after the secondhand section at reputable digging spot Love Vinyl. It was there that Donna and Ece first met too. “I was like, fist bump. We had a bro moment!” laughs Ece. After quickly recognising their mutual, pro-level knowledge of jazz, funk, psych, library music and all the curious pockets of sound in between, it wasn’t long until Donna and Ece had their first experience of DJing together at Brilliant Corners’ second birthday. 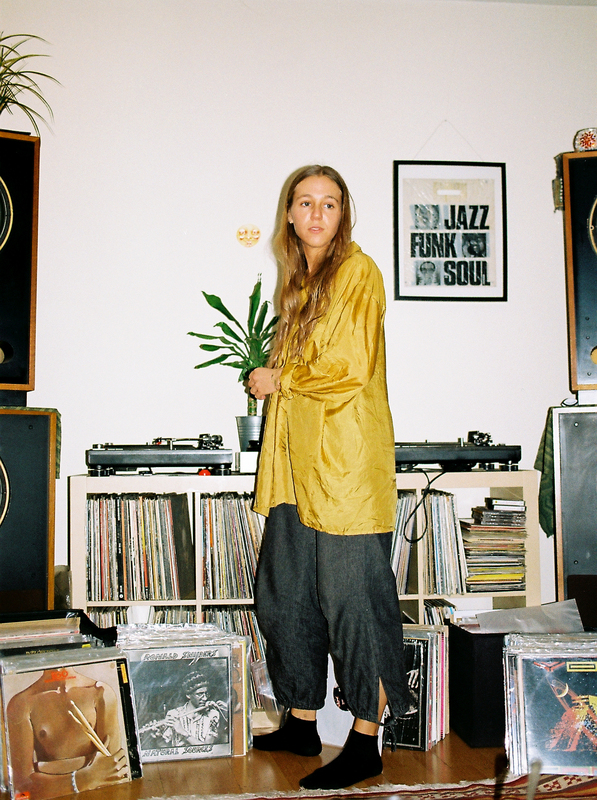 Brilliant Corners looms large in the Winds & Skins story, not least because Donna spent a few years working and playing at the restaurant and listening bar in Dalston. She readily attributes the venue, owners and other residents as having taught her a lot about what makes a good party, and the art of listening. 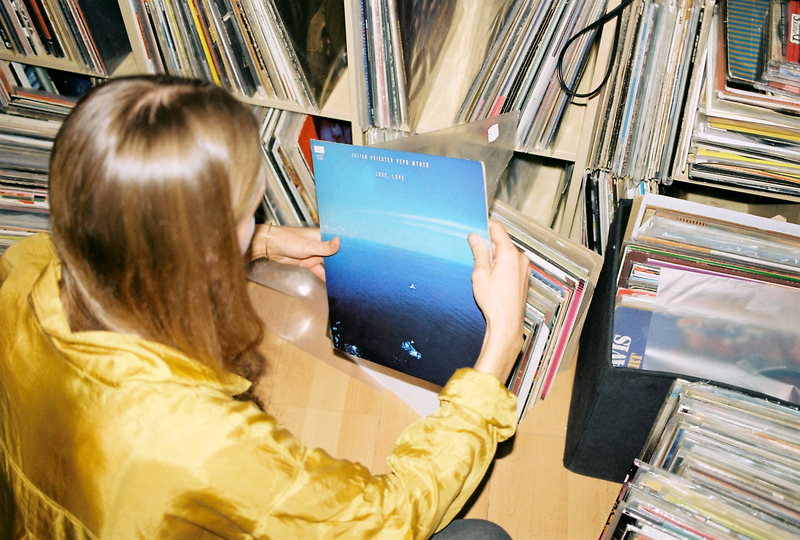 She also talks up the hazards of so many devout record diggers sharing the decks. “Any time the Brilliant Corners crew have a get down we have a message thread afterwards with everyone posting up ‘whose record is this?’” she laughs. It was a similar situation at the first Winds & Skins event, which took place in 2017 at Servant Jazz Quarters, an intimate bar in Dalston. It was the first time Debora, Donna and Ece DJ’d together, and as you might expect, the scene in the DJ booth was chaotic. The parties Debora, Donna and Ece play at vary in terms of atmosphere, but given their tendency towards deeper listening fare and selections unbound by genre or tempo, it’s as likely you’ll find them playing sedate, sit down affairs as lively bars or clubs. When we meet, Donna and Ece have just returned from a weekend playing three seven-hour sets from Friday to Sunday at Kasheme in Zurich. It’s a venue that bills itself as a “Living Room, Record Store, Studio” – an apt setting for the heady jams you’re likely to hear spill out of their record bags. 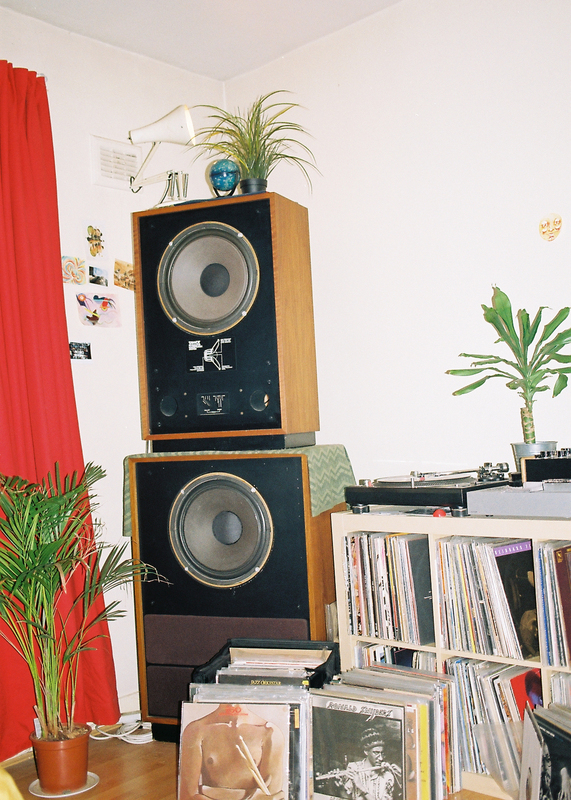 As we talk, Donna and Ece take it in turns to play records that pour from the beautifully balanced, towering Tannoy speakers that flank the decks. They explain they pulled out a specific selection for the interview – records representing what Winds & Skins is all about. The range in the soundtrack is broad, from languid funk grooves to soaring, cosmic jazz, leftfield reggae and exotic Eastern vocal tracks – a stunning Miles Davis live album, an Italian compilation of psychedelic funk nuggets, wild rock-tinged noodlings and plenty more besides. 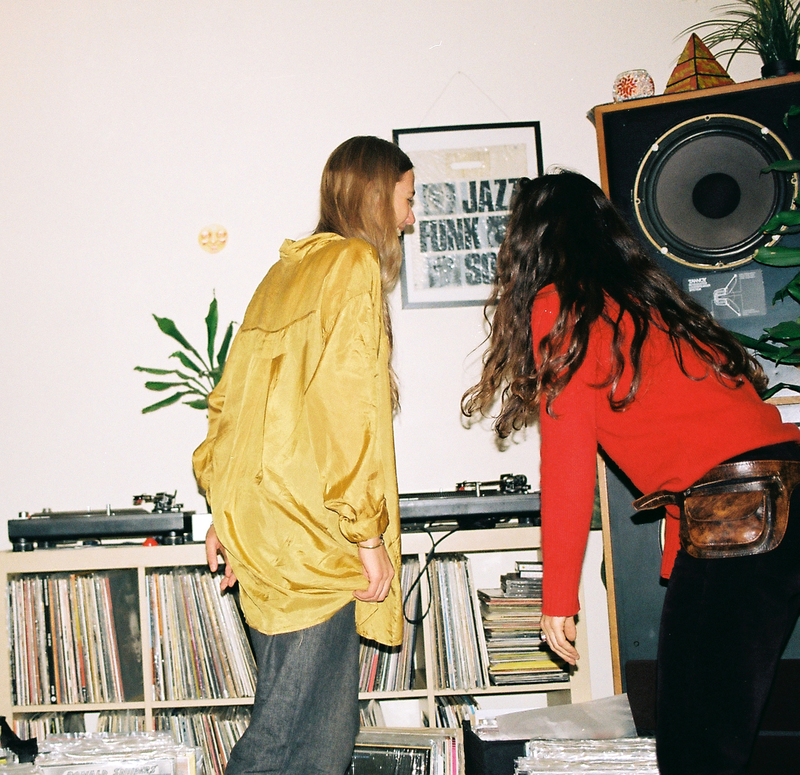 The one unifying aspect could be deemed a kind of jazziness – not always explicit, but definitely guiding the loose, organic, globetrotting tastes the girls project on the decks. 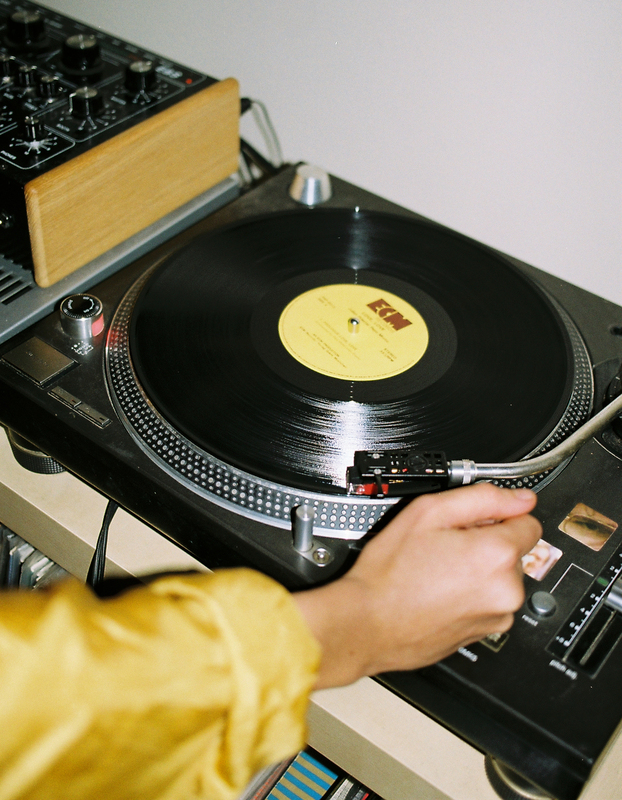 In between focused bouts of chat, it’s common for Donna and Ece to disappear down tangents of hyper-specific detail about different track versions, which compilation they appeared on, corresponding records, who found which track, and all the other experiences that feed into a love of vinyl culture. Donna is reverential about the music she plays, and how she plays it. She has the air of a messenger with a solemn task to seek out these wild, spine-tingling sounds and share their magical properties with the world. She now gigs most weekends, sometimes two or three shows back to back, and her first concern before the physical demands of lugging multiple bags of records from city to city is the condition of the records themselves. “I start to think, ‘how many plays did this amazing record get?’” she explains as she brushes the dust off a 12” spinning on the platter. “Even if you play your records on good needles, the more they get played, the less time they have to sound good. A lengthy discussion follows about the appropriate way to store your records. Both credit Donna’s boyfriend Pol (whose mammoth record collection looms large with Donna’s in the living room we’re sat in) with teaching them about keeping the inner sleeve at 90 degrees to the outer to minimise dust reaching the record. It’s understandable that Donna and Ece are so precious about their collections, given the commitment they give to searching out the best sounds they can find. It’s almost reassuring to hear the lengths they have to go to keep their mixes and radio shows overflowing with spellbinding sounds you’ve never heard before. Another tangent springs up when Donna recounts a record she thought she had lost at Houghton Festival last year – having just bought the record that week, she couldn’t remember its full title, just that the cover featured horse riders. Ece was the one to help ID the missing wax (which safely made its way back to Donna), primarily guided by her love for horses and riders. Amongst Winds & Skins, a whole new sub genre has taken shape. 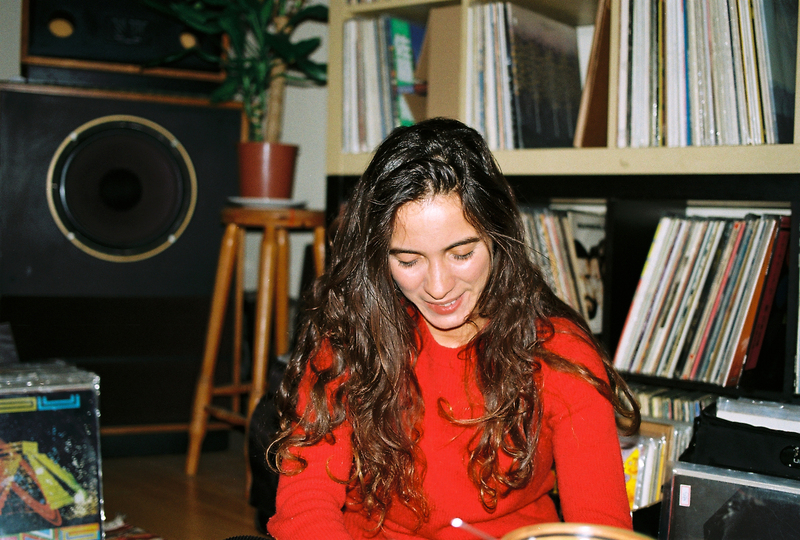 Beyond her DJing, freelance projects for independent labels and shifts at Love Vinyl, Ece also runs the newly minted Zel Zele label with Debora. The first record was a slice of experimental jazz funk from the mid-’70s in Turkey, remastered and cut to 7”. Future plans for the label alternate between reissues and new material – a project from a member of notable Istanbul psych outfit BaBa ZuLa is next, although Ece is keen to stress there are no geographic, temporal or stylistic boundaries with the label. Debora’s role as a global music researcher especially helps with seeking out new acts, while Ece’s knowledge guides the reissues. 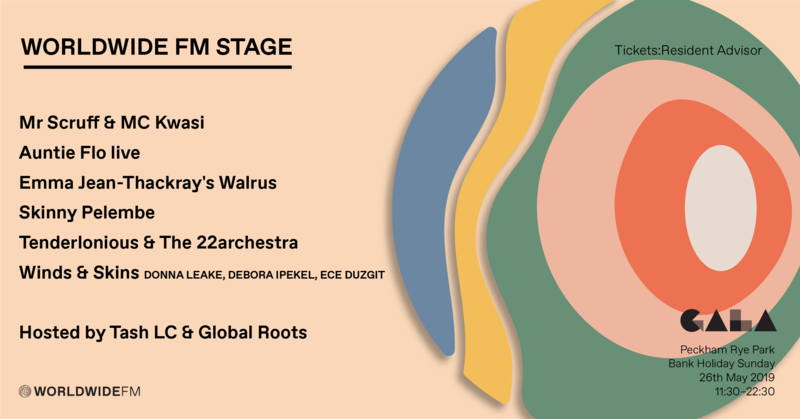 Turkish funk, jazz and psych loom large in the Winds & Skins repertoire, which is not surprising given Debora and Ece’s roots. When I arrive at Donna’s flat, she’s just prepared a Turkish lentil soup with some delicious Gozleme made “by a Turkish mama down the road.” There’s as much passion for food in this collective as there is for music – we spend a considerable amount of time swapping notes on the pros and cons of dried versus fresh herbs. Donna’s home turf of Brilliant Corners also reinforces the connection with food – the spot is as known for its Japanese small plates as its DJ line-ups. She’s played gigs in other similarly oriented spots too, and the notion of DJing to a room of diners has a unique appeal to it. While there are plenty of stretches of delicate, mellow music in the Winds & Skins repertoire, their style stops short of outright ambience. Although with time they’re finding their way into calmer sounds, they tend towards songs that crackle with some kind of energy, no matter how laid back. “That brings out complex arrangements, unexpected breaks and surprises in our sets,” says Ece. “Fusion confusion!” they both laugh. It’s the kind of instinctive in-joke that illustrates just why these dedicated music fiends gel so well as a collective. Their herculean efforts in music sourcing and overwhelming passion for sharing their discoveries is accented by their infectious energy – the sound of friends jamming on the best digs they can find, and drawing anyone in earshot into their wondrous world of sound.